If you drive north through Europe through the swedish woodlands, across norwegian mountain passes and way past what seems like the point of no return, sooner or later you will reach North Cape, the very northern tip of Europe. Situated on a small northern island, Magerøya, the north cape is a spectacular place to visit. The north cape itself is fairly high cliff facing the sea to the north. Where the cliff ends, so does Europe and nothing else will appear to the north for 2000 kilometres – where you will reach the north pole. 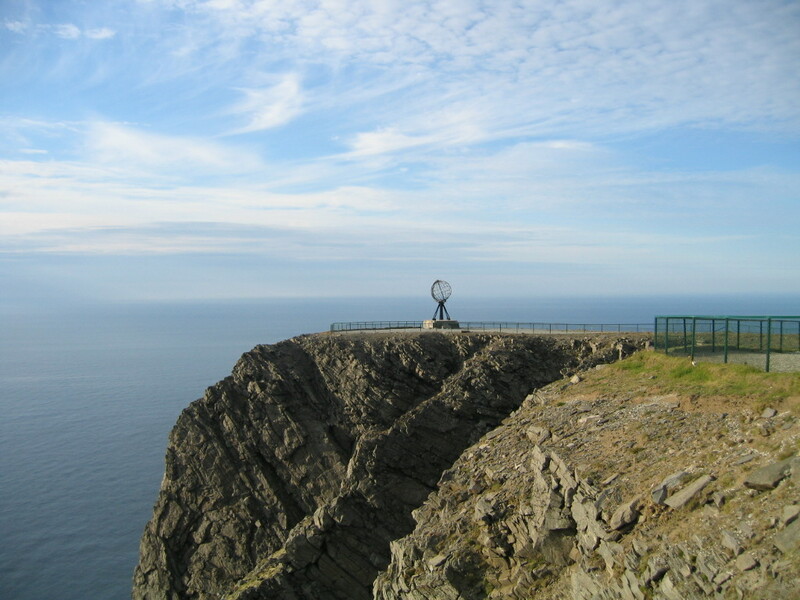 The cliff of north cape in itself is farely bare but has a few facilities for tourists such as a cafeteria, a small shop, toilets and the like. None of the services are particularly exciting and everything is excessively expensive – so do yourself a favour and bring plenty of supplies with you upthere. 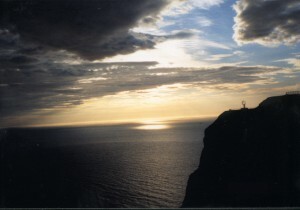 Admission to the North Cape area used to be free for all, but they now charge a fairly excorbitant fee – though you can pay to join the Royal North Cape Club and get free admission at all times. Despite the expenses and rather lacking facilities, the North Cape is well worth a visit due to its highly unique features. Basically, you can sit on the edge of giant cliff facing the north pole and enjoying the sunset. Except. The sun never sets. It will almost reach the water level on its downward path out in the horizon, but before they meet, the sun starts going up again. It may sound like a plain and silly thing, but actually spending the night watching a sun that never sets is one amazing trait of nature. The midnight sun can be experienced from 14th May to the 31st of July. The sun will reach its lowest point at 00.14 – 00.24 during this period. Obviously this timeframe is when to come to the north cape as well – if you come just outside this period, the sun will set but only just. If you fancy an adventure to the north, fill the car with supplies and go see the sunset that never happens.